There’s this weird cause of high blood pressure that could be affecting you right now. Even if you’re watching your diet. Even if you’re making sure to exercise. But there’s hope: learning what this “weird” thing is can help you avoid it. Easily, too. And surprise! Eliminating it can lower your risk of high blood pressure by a whopping 38%. Negative social interactions can have a terrible impact not only on your day but also in the more distant future. According to the researchers in Central Michigan University, fighting with friends or family members can be a cause of high blood pressure as well as heart attack risk in adults. The study focused on a previous long-term survey conducted in the University of Michigan on 6000 people between 2006 and 2010. The researchers excluded all participants who were previously diagnosed with hypertension and focused only on 1502 participants who did not previously have high blood pressure. The idea was to find out if negative interactions like fights and quarrels had an impact on hypertension. They made a very significant finding. Fighting with friends and family can have more lasting effects than just ruining your day. Those who rated their negative interactions with their loved ones at 2 on a scale of 4 had a 38 percent higher risk of developing high blood pressure in the next four years. For every higher rating on the scale, the risk increased by 38 percent. 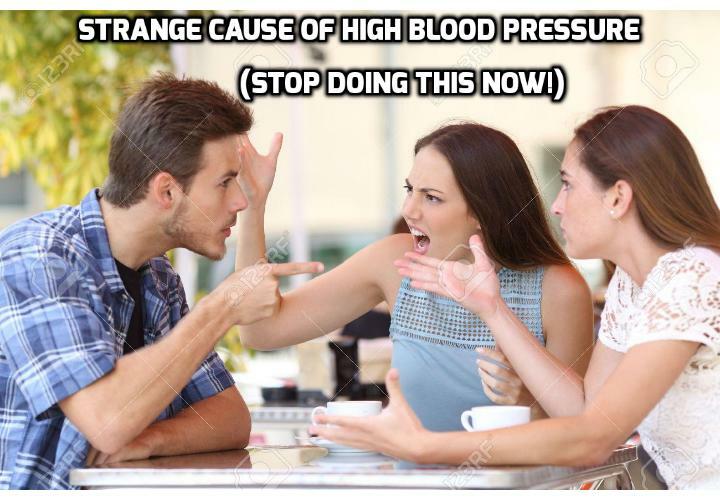 Interestingly, it was women between the ages of 51 and 64 years who were most susceptible to develop high blood pressure due to negative interactions. Men and women above 64 years somehow seemed to be less inclined to be affected by the emotions or more capable of dealing with them. In another study conducted by the University of Pittsburgh, researchers found that those who had positive social interactions in the past 10 minutes usually had lower blood pressure readings on an average based on measurements. For more than 10 years, Karen Matthews, professor of psychiatry and epidemiology at the University of Pittsburgh, has been studying the link between social interactions and cardiovascular health. She has equipped her subjects with cuffs that measure blood pressure once every 30 or 45 minutes throughout their day. When the cuff inflates, participants stop and write down their recent activity: where they are, who they have been with, and what they have been doing. Those who have had social contact in the last 10 minutes generally have lower blood pressure, Matthews said. So, the message is: Take it easy! Don’t take fights and quarrels to your heart. Relax and de-stress whenever you can. On the other hand, a new US study suggests that volunteering to help others doesn’t only feel good but it can also boost your heart health by reducing blood pressure. The study involved 1,100 adults aged 51 to 91, who were interviewed about their volunteering habits and had their blood pressure checked at the beginning of the study and again four years later. All of the subjects had normal blood pressure readings at the time of the first interview. Regardless of the type of volunteering activity the subjects engaged in, participants who said during the first interview that they volunteered for at least 200 hours per year were 40 percent less likely to have high blood pressure four years later than those who did not volunteer. The study is slated for publication in the journal Psychology and Aging. “Every day, we are learning more about how negative lifestyle factors like poor diet and lack of exercise increase hypertension risk,” lead author Rodlescia Sneed, a Ph.D. candidate in psychology at Carnegie Mellon University, said in a university news release. “Here, we wanted to determine if a positive lifestyle factor like volunteer work could actually reduce disease risk. And, the results give older adults an example of something that they can actively do to remain healthy and age successfully,” Sneed said. “As people get older, social transitions like retirement, bereavement and the departure of children from the home often leave older adults with fewer natural opportunities for social interaction,” Sneed added. A separate US study published earlier this year in the journal JAMA Pediatrics also linked volunteering with improved cardiovascular health in high school students. This post is from the High Blood Pressure Exercise Program. It was made by Christian Goodman Blue Heron health news that has been recognized as one of the top quality national health information websites. This program will provide you the natural high blood pressure treatments, natural recipes to cook healthy meals and useful strategies to build a healthy diet with the aim to help you to maintain and stabilize your blood pressure.